If you are the one of those millions of users of Windows XP operating system, then there is a solution for you. VistaMizer is software that transforms Windows XP default to look like Windows Vista. VistaMizer is available for free download which totally transforms your theme and look of Windows. VistaMizer has been out for a quite a while and is very popular because of its compatibility and ability of transformation to a Win Vista like OS. Vista-Mizer is supported on all versions of Windows XP including Home, Professional and business edition. VistaMizer which is out now for download works on 32 bit and 64 bit modes. 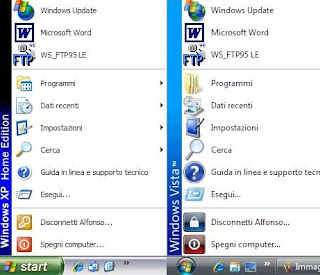 On the release of the well know OS known as 'Windows Vista' users liked the new look of OS so much that they started to upgrade to this version of the OS. VistaMizer was the quickest and the most affordable way of them to have the look and feel of Windows Vista without paying anything. VistaMizer made that dream a reality of offering the look and taste of Vista to the users which wanted to try it for free. Editing and customising your Windows operating system is really easy and does not take more than a few minutes to completely change the look of your Windows XP machines. It is also multilingual and supports more than 10 different languages. Vista Mizer is packed with rich features and tools which make your old and lazy Windows XP computer look more fresh and new. What it does is that it changes the look of your Start Menu into a more organised and modern looking menu. One more software that customises start menus is Start Menu 8. As soon as Vista Mizer is installed it changes your fonts, themes, colors and performance of your PC by cleaning all the unused files and applications. It adds aero affects but does not change the internal and main functions of the operating system like user account control and other administrative settings. VistaMizer creates automatic system restore point which comes in handy in long term because it will let you easily uninstall itself. You can also use CCleaner to speed up or fix registry errors on Windows XP. It also adds all the 3D effects which are available in Vista for XP users. Themes like this are very useful especially if you do not want to spend extra money on a new OS. The mouse cursor also changes to the one which Vista has and also the loading icons. Vista-Mizer has multi support of 32 / 64 bit OS and has a friendly navigation interface which allows you to choose the path for installation.